Walid J. Tamari, founder and named member of Tamari Law Group, LLC has been named to the America’s Top 100 Attorneys® list for Illinois. Tamari represents clients in high-stakes and high profile civil litigation. He provides clients with result-oriented legal advice and representation in a wide-range of disputes, including claims relating to breach of contract, negligence, business tort and pharmaceutical liability litigation. Tamari has appeared on CBS News, NBC News, WGN News and Fox News and has been quoted in, among other publications, Forbes, Crain's Chicago Business, Chicago Tribune and the Chicago Sun-Times. Tamari also teaches entrepreneurship law at Loyola University of Chicago's Graduate School of Business. America’s Top 100 Attorneys® seeks to identify and highlight the accomplishments of the nation’s most-esteemed and skilled attorneys in all areas of practice. Membership is limited to 100 attorneys in each state, and less than 0.5 percent of active attorneys in the United States will receive this honor. For more information about America’s Top 100 Attorneys or the selection process, visit http://www.americastop100attorneys.com. Tamari Law Group, LLC is a law firm that represents individuals and businesses in complex litigation. Tamari Law Group has experienced recent growth following the relocation and expansion of its Chicago headquarters in 2017. 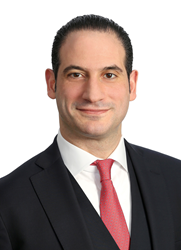 Founding member Walid Tamari is an established civil litigation attorney with a track record of success. He represents clients in high-stakes commercial disputes, as well as individual plaintiffs who have been injured by pharmaceutical products. To learn more about Tamari Law Group, LLC, please visit http://www.tamarilaw.com.